Irene has been running Miss McGillicuty’s vintage antique mall in Historic Downtown Jenks, America for years. 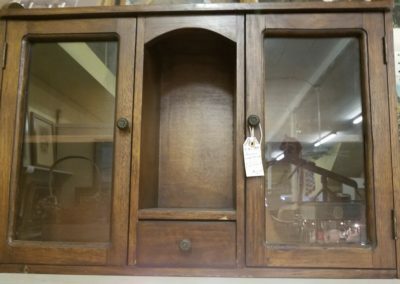 We hope you find all your antique and vintage needs you want with us. 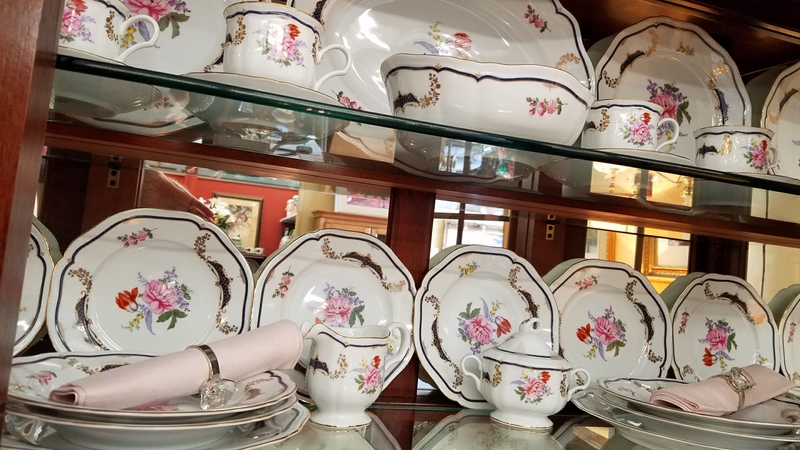 Irene and the many vendors that make up Miss McGillicutty’s Antiques are focused on providing high-quality service and customer satisfaction – we will do everything we can to meet your expectations. We are located in Historic Downtown Jenks, America. 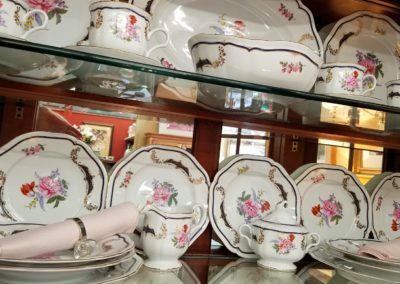 With a variety of items from antique to vintage to eclectic to choose from, we’re sure you’ll be happy shopping with us. Look around our website and if you have any comments or questions, please feel free to contact us. 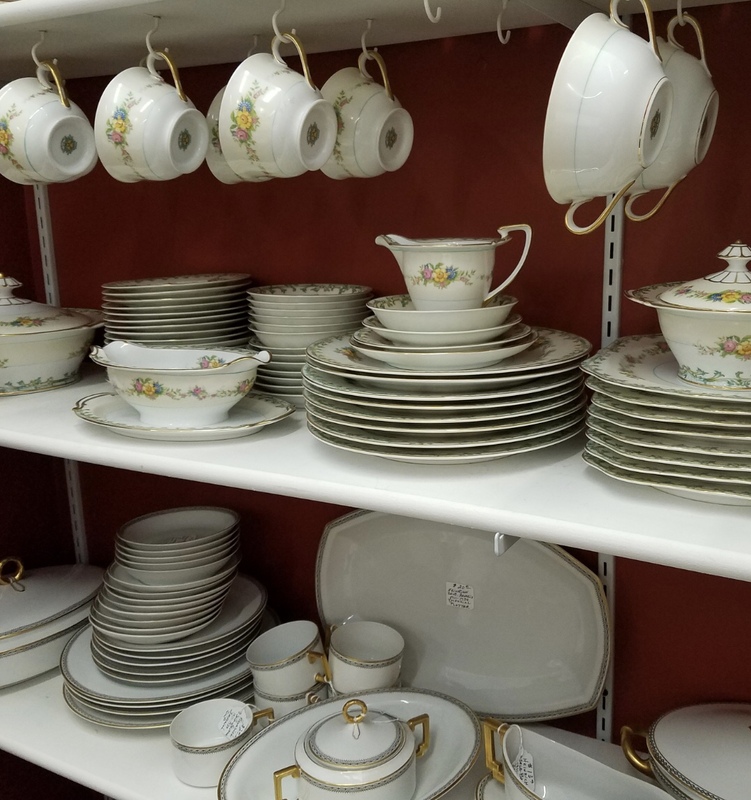 Our inventory is changing daily! 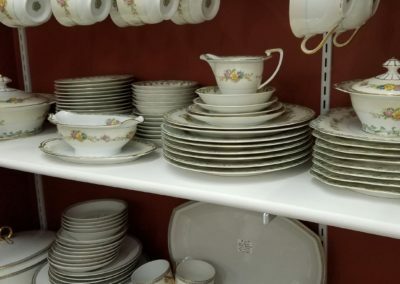 For a complete inventory, visit our Facebook page here. If there is something in particular you looking for, let us know. You never know what treasure we will bring in next! 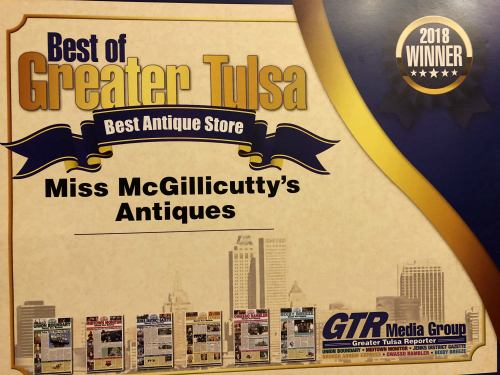 Winner of the Greater Tulsa Reporter Best Antique Store in the Tulsa Area for 2018! 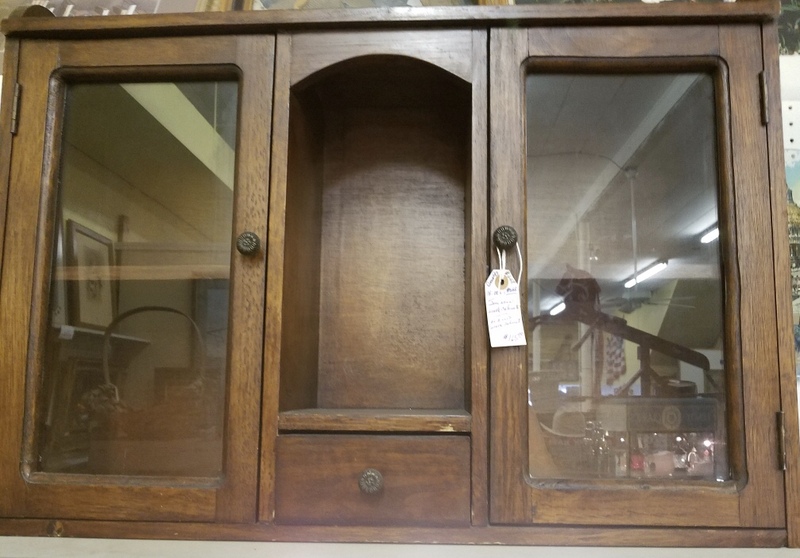 We are always looking for quality dealers, booth space available & are taking in antique & vintage furniture on consignment. 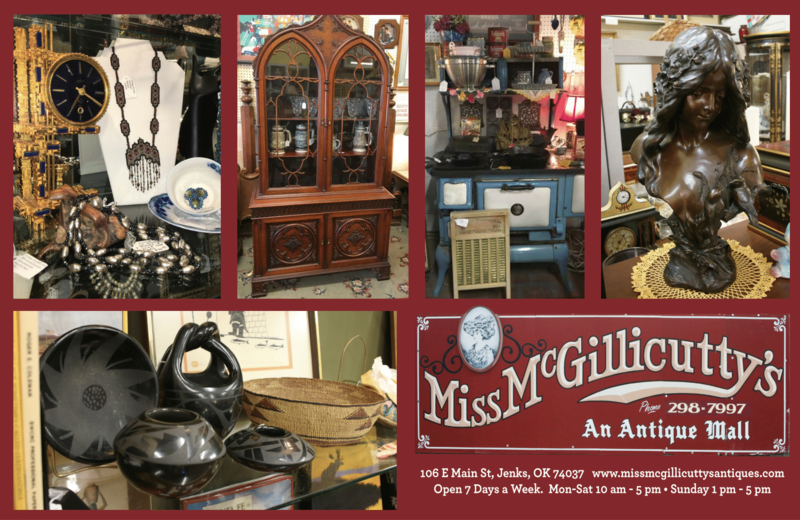 Miss McGillicutty’s has been in business for over 30 years in downtown Jenks. 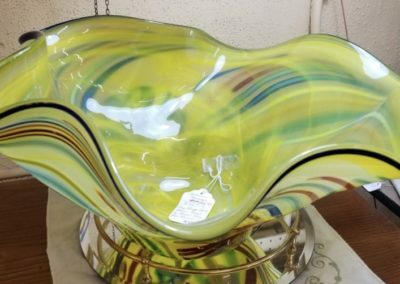 We have over 20 Dealer & Consigners. 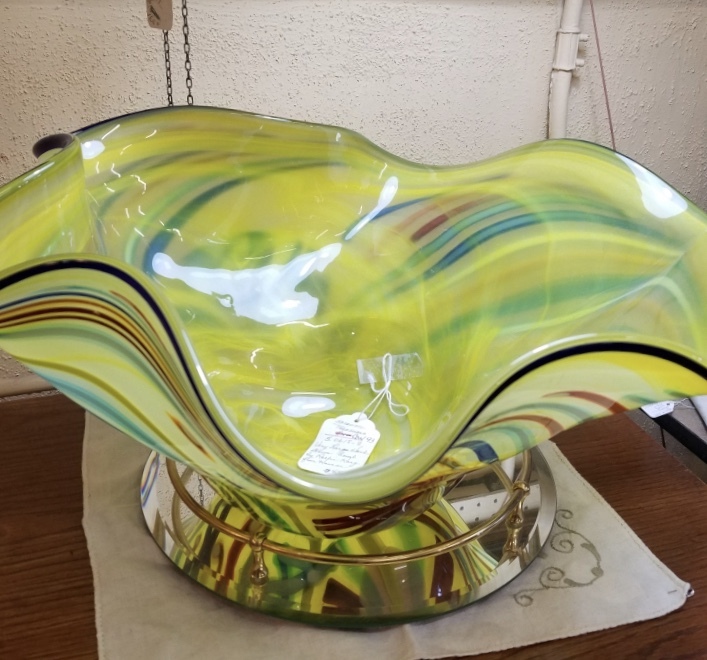 We carry everything from antique & vintage furniture, coins, vintage jewelry, native American artifacts, glassware, figurines, World War II items, petroleum company items, and collectibles of yesteryear. If you don’t find it in our store please ask, we may be able to find it for you. A high percentage of our business is from repeat customers and referrals.